Martin Murray is furious about WBO middleweight champion Billy Joe Saunders (26-0, 12 KOs) pulling out of their scheduled June 23rd fight earlier today due to a hamstring injury. Murray (36-4-1, 17 KOs) believes Saunders’ true reasons for pulling out of their fight is because he wants to be available for big money fights against Saul Canelo Alvarez or Gennady Golovkin later this year. The two stars, Canelo and Golovkin, are in negotiations right now, but there’s a very good chance the fight won’t get made. Saunders could be the Plan-B option for GGG or Canelo if the fight doesn’t get made. Canelo’s promoter Oscar De La Hoya has already mentioned Saunders as a possibility for Canelo to fight on September 15 if Golovkin doesn’t agree to the 65-35 purse split that his promoter Tom Loeffler agreed to for the canceled May 5th fight in Las Vegas, Nevada. Golovkin raised the stakes recently, asking for a 50-50 purse split after Canelo tested positive for the potent performance enhancing substance clenbuterol last February. This was the second time that Saunders has suffered an injury while training for his title defense against Murray. The two were supposed to fight on April 14, but Saunders hurt his hand in training and needed the fight to be postponed until June 23. However, this time it’s likely that the fight won’t be rescheduled, as Saunders has a chance of getting a bigger payday against Golovkin or Canelo in September if their negotiations fizzle. “@GGGBoxing he Nws them legs are getting old I’ll take the same as I agreed before or winner takes all 😉 👴,.” Saunders said. This post from this morning by Saunders makes one believe that he is eager to fight Golovkin in September. A lot of boxing fans see this message from Saunders as an indication that he intentionally pulled out of the Saunders fight so he can have a chance to fight Golovkin. Saunders has a better chance of getting the Golovkin fight than the Canelo fight, because there’s a lot more interest from Team GGG’s side in fighting him. Golovkin wants Saunders’ WBO tile so that he can complete his collection of 160lb titles. Golovkin holds 3 of the 4 middleweight titles, and he just needs the WBO belt to unify the division entirely. Saunders is also an important person to Golovkin in another way, as it’ll allow him to sidestep his International Boxing Federation mandatory Sergey Derevyanchenko, who he must face by the first week of August or else he’ll be stripped of his IBF title. The fight is more trouble than it’s worth for Golovkin, as there’s no money in it and plenty of risk. 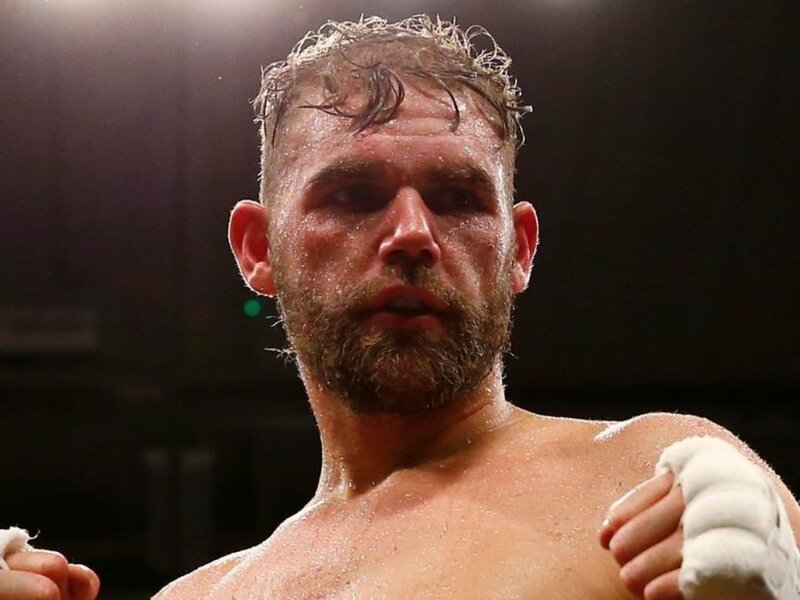 “Apologize for any inconvenience due to injury I had to withdraw from the 23 rd you hv your ups in boxing but last 3 months been downs sorry to Martin and the fans be Bk soon,” Saunders said on his Twitter. It would surprise a lot of boxing fans if Saunders bothers to reschedule with Murray. The fact that Saunders didn’t say anything about rescheduling suggests that he’s not going to fight him now. It’s a real shame that Murray has wasted months of training for Saunders, but there’s nothing he can do about it. Saunders picked Murray to fight in a voluntary defense, so he can move on without being forced to fight him.